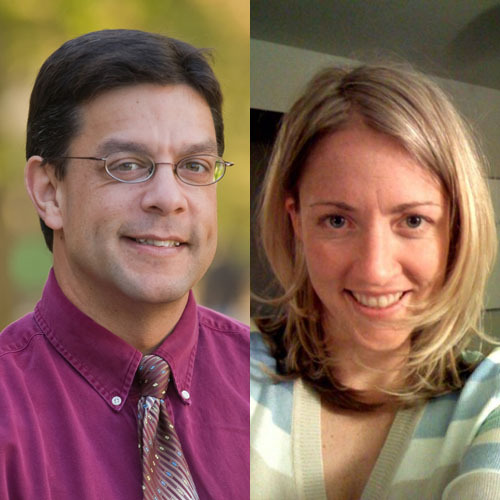 March 12, 2012, 3:30 p.m.
Two journalism professors who’ve been studying culture change in newsrooms say newspaper leaders shouldn’t pass the buck to their staffs. By Jonathan Groves and Carrie Brown-Smith March 12, 2012, 3:30 p.m.
Changing a culture is not a top-down or bottom-up proposition: It’s a dance between leaders and their organizations. Edgar Schein, one of the foremost researchers of organizational culture and leadership, notes that mature organizations often struggle to live up to the ideals and vision of their founders. Think HP post Bill Hewlett and Dave Packard, Walmart after Sam Walton. In our in-depth interviews with staffers from all departments and levels of the newsroom hierarchy, we also found that many of the people executives dismissed as anti-change curmudgeons were often much more thoughtful and accepting of new digital strategies than expected when asked directly. While they had concerns about change, the root of their trouble was lacking clear, specific goals from on-high. Staffers hungered for specific direction on how to reprioritize their workloads, which had increased substantially as staffs shrunk and responsibilities increased. Contrast those experiences with the Christian Science Monitor, another news organization we studied. It abandoned its daily print product in favor of a weekly magazine and freed much of the news organization to focus on the online delivery of news. No need to bury the lede. This is a momentous day. After we clear the final pages of the daily print Monitor today, we are in uncharted waters. Everything we do from this point is new to us and new to the world of journalism. Mary Baker Eddy [the founder of the First Church of Christ, Scientist] launched us in 1908. Each year of the 100 years and four months since then our predecessors have charted their course by the values she instilled. It’s up to us now. With the help of Jimmy Orr, the online editor at the time, as a primary change agent, newsroom leaders pushed writers and editors to develop new routines — such as more frequent updates, more topical stories, and headlines written with search-engine optimization in mind. The changes didn’t come without conflict. Several staffers told us they felt the moves didn’t match traditional conceptions of what they thought of as “Monitor journalism.” But they acknowledged the improving pageviews made them feel as though their work was more relevant, more part of the international conversation. And some thought they could bring the Monitor ethic to bear on the web. I have to do it six, seven times [a day], you know — to think of stories that bring what I would consider our Monitor values to a topic that is not where we normally would have been, and we’re doing it because the public is interested in this topic. So, what do we have to say about it that’s interesting, or clearer, or sheds some new perspective on what’s going on here? And it’s hard. You know, we weren’t accustomed to having to be that instantaneously responsive, and we don’t have the luxury of saying, “Well, you know that story is really not for us.” And when we’ve got pageview targets that we’re all assessed to hit every month, you’ve gotta come up with something on what people want to read about. Today, csmonitor.com receives 30 million pageviews a month, and advertising prospects are improving. And newsroom leaders are a bit more optimistic than three years ago. At every organization, success embeds routines, and the more successful an organization, the more deeply embedded those routines become. In the newspaper business, news organizations grew comfortable with profit margins in excess of 20 percent. It became the expectation of publishers and shareholders. As a result, executives have little patience for profit margins of 1 to 2 percent — something more palatable among new organizations trying to innovate. Think of the profit demands of Twitter, Facebook, and Amazon in their early days — users bought into the quality of the idea, not the income statement. Harvard Business School professor-turned-news executive Clark Gilbert refers to this reaction as “threat rigidity” — the idea that when the going gets tough, the tough become inflexible and controlling. It’s not a recipe for innovation success. It’s much better to put innovative structures in place where people can be free to experiment and fail without the pressures of the high profit margins of old. As Clay Christensen and Michael Raynor noted in The Innovator’s Solution, as a new strategy is developing, executives should be impatient for profits — any profits — but patient for growth. Once a strategy proves itself, the deep investment and expectations of growth follow. Now is the time for rampant experimentation. Executives should loosen the reins and encourage risk-taking. Last month, at the annual conference of the National Institute for Computer-Assisted Reporting in St. Louis, journalism’s innovators were on display. AP has allowed an innovator like Jonathan Stray to develop document analysis software at the Overview project to bring information-visualization techniques to journalism. The Guardian of London analyzes vast amounts of data at its Datablog in a way few news organizations have. The Washington Post has put experienced Python coders into its newsroom ranks to scrape data from the web in unusual and innovative ways. Will all of these efforts turn a profit? Probably not. But the creative ways these journalists are gathering information and telling stories in the digital environment far surpass the traditional inverted pyramids of their forebears. It is time to encourage this innovation, letting the creative risks mature before demanding massive growth and high profit margins. POSTED March 12, 2012, 3:30 p.m.
Brown-Smith, Jonathan Groves and Carrie. "A call for leadership: Newspaper execs deserve the blame for not changing the culture." Nieman Journalism Lab. Nieman Foundation for Journalism at Harvard, 12 Mar. 2012. Web. 18 Apr. 2019. Brown-Smith, Jonathan Groves and Carrie. "A call for leadership: Newspaper execs deserve the blame for not changing the culture." Nieman Journalism Lab. Last modified March 12, 2012. Accessed April 18, 2019. https://www.niemanlab.org/2012/03/a-call-for-leadership-newspaper-execs-deserve-the-blame-for-not-changing-the-culture/.